(Bloomberg) -- New Mexico. California. Hawaii. They’re all among the states that have passed laws requiring that all of their power from clean sources in the coming decades. Puerto Rico joined the bunch on Monday with a 100 percent renewable energy goal by 2050. But how? While reductions in wind and solar costs have helped close scores of coal plants and dramatically lowered greenhouse-gas emissions, natural gas remains indispensable. And without some scientific breakthrough, utility chiefs at the BNEF Summit in New York Monday said that pushing emissions cuts past 80 or 90 percent is a pipe dream. “We do not have all of the technologies at our disposal right now to go to a 100 percent reduction,’’ Duke Energy Corp. Chief Executive Officer Lynn Good said. Ralph Izzo, chief executive officer of New Jersey’s Public Service Enterprise Group Inc., said the key question when it comes to making electricity 100 percent clean is who will pay for it. Izzo, who stressed that he believes in climate change, said he worries people keep hearing wind and solar are cheap and, therefore, assume there’s no cost to a wholesale shift to renewables. “The notion that you can do that in 10 years is admirable but fantasy,’’ he said. One thing executives stressed is that nuclear power -- which unlike fossil fuels does not emit greenhouse gases -- is essential to going carbon free. 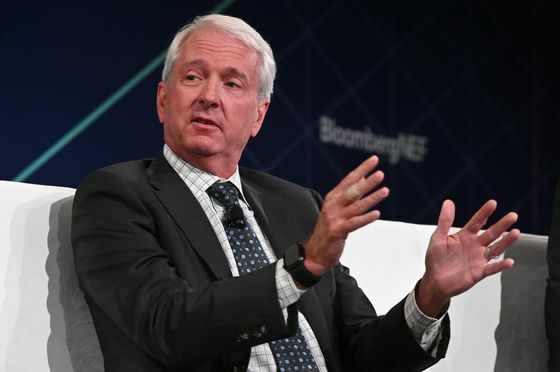 “I think nuclear plays a role,” said Ben Fowke, chief executive officer of Xcel Energy Inc., which in December became the first major U.S. utility to set a goal to go carbon free. Utilities already have a variety of weapons to lower their carbon pollution, including wind, solar, more efficient gas generators and grid-scale battery systems. Grzegorz Gorski, managing director of central generation for the French energy giant Engie SA, said his company can cut up to 90 percent of emissions with existing technology. But weeding out greenhouse gases altogether will require something revolutionary, Duke’s Good said. Perhaps the key breakthrough will be cheaper and more powerful batteries. Or maybe it’s developing affordable systems to capture and store carbon emissions from fossil fuel plants. Or small-scale nuclear reactors. Or hydrogen. Or geothermal. “We’ve got to be open to anything that mitigates climate change,” Xcel’s Fowke said. Either way, those discoveries are more likely to come from national laboratories working with private investors than from utilities, Good said. Amy Grace, a BNEF analyst, said utilities are by nature slow-moving and conservative. They’ve never been big on research and development, in part because it’s tough to pass costs from experimental projects onto customers. “Asking utilities to do something like that is asking them to do something that’s not in their DNA,” Grace said. Lynn Jurich, chief executive officer of rooftop solar developer Sunrun Inc., said in an interview that utilities shouldn’t wait around for scientists to invent a magic bullet for fighting climate change. “Where you get innovation is through actual deployment and scale,” she said. Even if utilities say it’s an impossible stretch, it’s noteworthy that they’re talking at all about going 100 percent carbon free, said Mary Anne Hitt, director of the Sierra Club’s Beyond Coal Campaign.